As a venue we work closely along side Beau Events – they have great attention to detail, very reliable and help make room look that much more beautiful. Wonderful suppliers to work alongside! A fantastic team to work with. We have been recommending Beau Events for many years. We work with Beau Events on many events as we are florists covering the same venues. They are professional, friendly, creative and very hard working. They are a pleasure to work alongside. We have worked with Beau Events for many years. Fiona and her team never fail to impress. The attention to detail is second to none. They are always making sure that the chair covers and bows are presentable and ready for the big day. We would recommend Fiona and Beau Events in a heart beat! The team and Beau events are always a pleasure to work with, they have provided decorations for multiple weddings here, I would highly recommend working with them. – Jodie Events Manager. Fiona and her team, have been a supplier at the Grovefield House Hotel for many years and we cannot fault any of their work! They are a pleasure to work with and could not be more accommodating for any of our brides needs! They were asked to be a key supplier in our most popular wedding package and we couldn’t be happier! Their work is always at 100% and we look forward to our continued partnership. 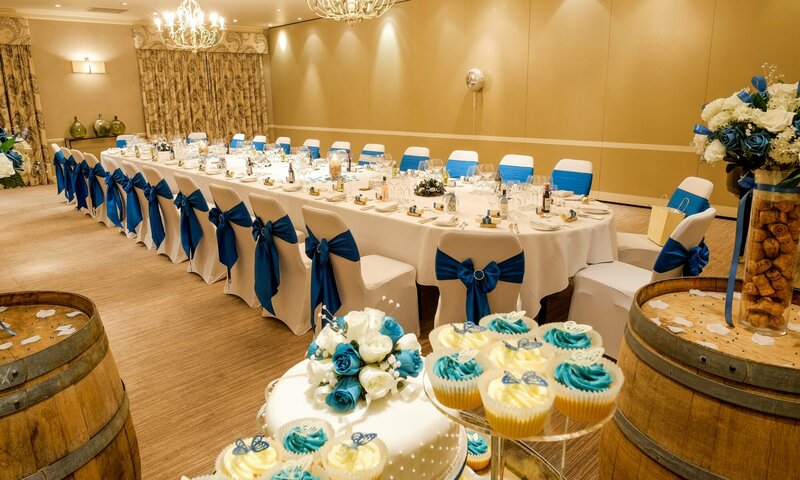 Beau Events are great – we work with them for many of our weddings and they are so flexible and accommodating. Highly recommend if you want a great professional service. Fiona offers such a personal service to our bride and grooms helping them ensure they have the perfect choice for there unique day and allowing them to see this set up before there special day. I would highly recommend her services.